Doing an annual financial plan makes it clear how important what you are doing now is to your future – and personal finance apps are the tool that can help you actualize your plans. That's because your daily financial decisions and activities – budgeting, spending, saving, investing, retirement planning – affect your financial health, both now and in the future. While it used to be challenging to keep track of all of your financial activities (think stacks of bills and receipts, plus a calculator), today’s mobile financial planning apps make the process easy and even surprisingly enjoyable. We are also here with a review for an app, Taxpense: GST, VAT, Tax, Income & Expense Tracker. What is Taxpense: GST, VAT, Tax, Income & Expense Tracker? “Taxpense: GST, VAT, Tax, Income & Expense Tracker” is your all in one finance app for iOS devices. This app helps you to track your taxes, incomes, and expenses at one place. Moreover, it also gives you a feature to store you receipts and mileages. 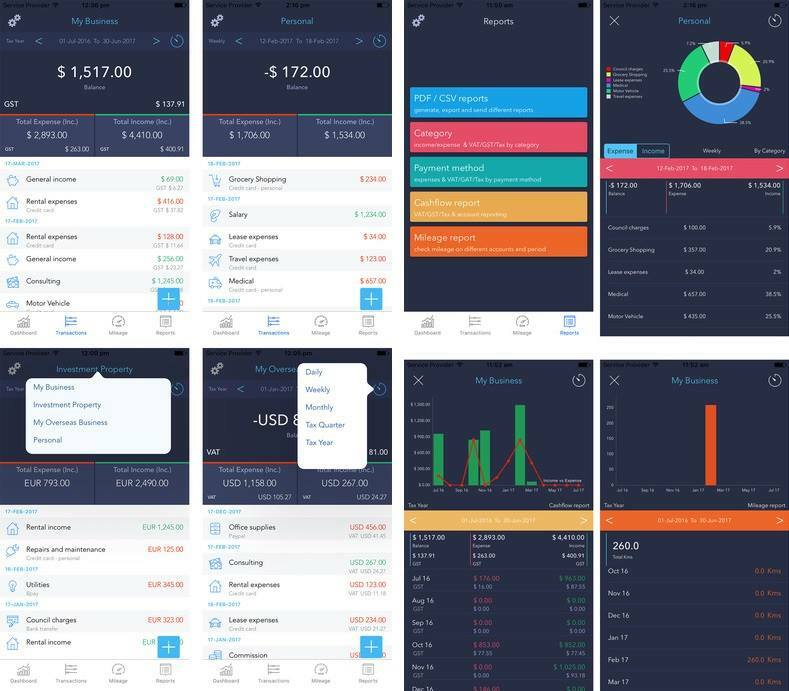 It comes up with optimized dashboard showing all your incoming and outgoing finance details with the help of well-explained graphs and pie charts. In addition, you can easily change the type of view by means of tax quarter or yearly period. The app brings you the facility of an inbuilt calculator, which automatically calculates your GST/VAT with the defined rates. You can enter you mileages, income and expenses in few steps for easy recall and future use. The best thing about the app is that it also generates any kind finalized reports that you can export or email in the form of pdf or .CSV formats. It is the best choice for Self-employed, freelancers, independent contractors, small business owners, property owners and proprietors. Have it for $2.99 today for your iOS and leave the rest to this app. direct download link to the app is present at the end of this review.